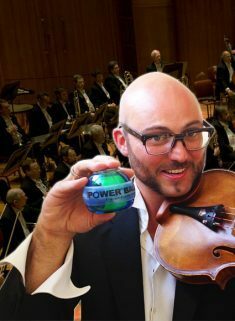 How Powerball helps drum endurance/play? Isometric training is also a highly efficient method of building muscle endurance. This helps you play for longer and reduces the risks of repetitive strain injuries in the elbows or wrists following long sessions. 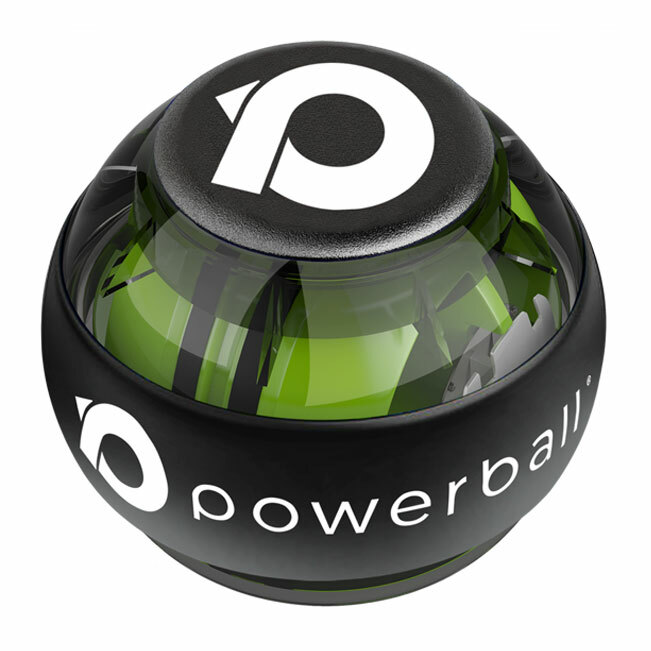 In fact, if you’re feeling stiff or sore following after 60 minutes of play, picking up and spinning Powerball for just 2-3 minutes will immediately reduce any discomfort and ensure full recovery prior to your next session – you can call it body armour for the wrists and arms. It’s difficult to describe the surreal feeling of the resistance generated by a “live” Powerball until you actually experience it for yourself. 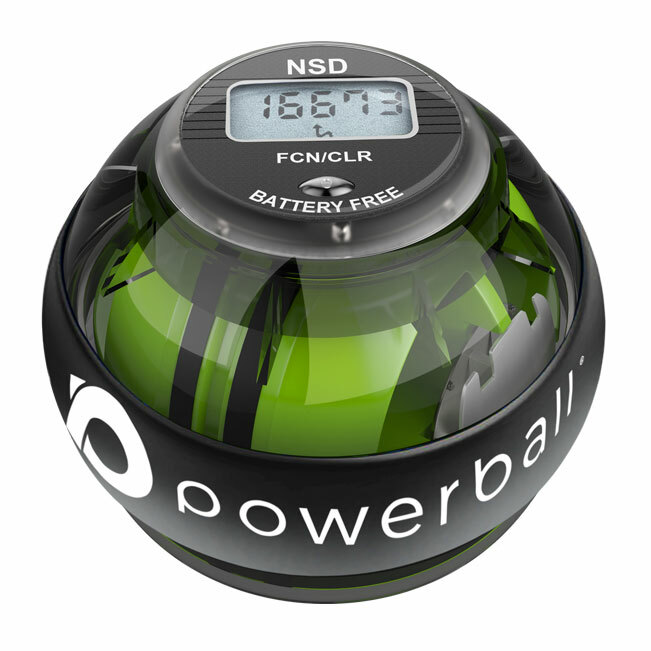 However, the tennis ball sized Powerball is a gyroscope – a hollow sphere that encases an internal rotor which spins on its own axis. When that interior rotor is accelerated through the action of turning your wrist in a circular motion, this creates a centrifugal force that works against the user; the faster the rotor spins, the greater the force generated and the harder the person is working. Spinning Powerball increases muscular control and stimulates blood flow, which aids rehabilitation and strengthening of all the muscles which are critical to playing the drums. 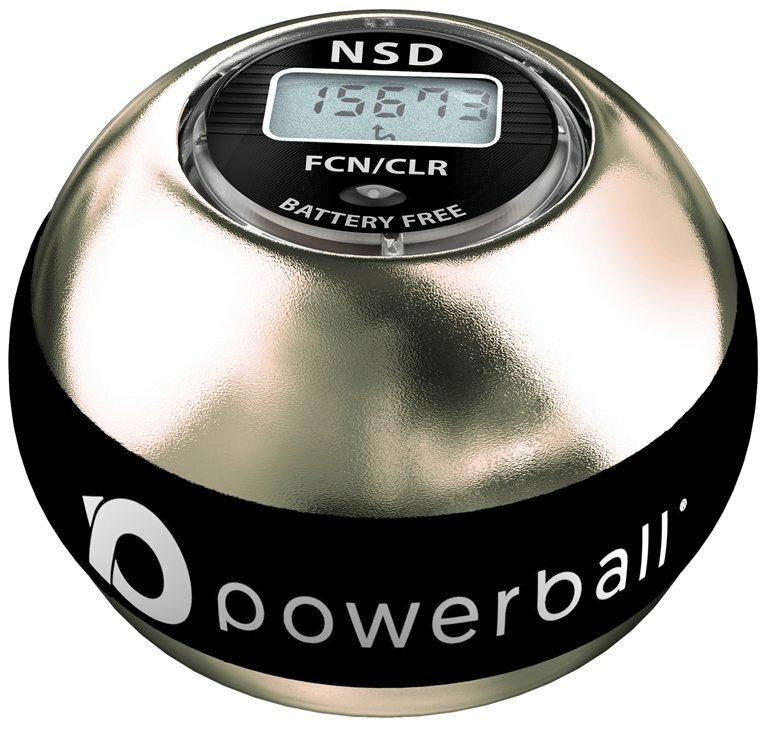 Using a Powerball for as little as 3 minutes daily will improve a drummer’s endurance while also helping them stay healthy from fingertip to shoulder. A full suite of physio designed strength & endurance exercises are available which target all of the muscle groups needed during play (see on this page below or under videos tab). 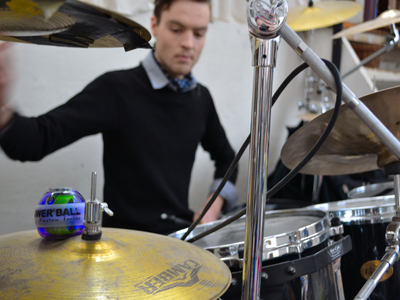 As far as playing drums is concerned, powerball makes your grip stronger and more precise in using your strength. To gain control you can train your fingers separately by holding Powerball only with them and spinning more gently and it all makes you faster drummer. Also my arm condition is better, even playing for few hours almost without break is not tiring. 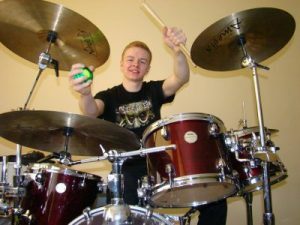 Undeniably the best thing of exercising with Powerball is increasing the skill of moving your wrist fluently – that is a very necessary ability for good drumming. About a month after buying powerball my drum teacher noticed that I move my arms more smoothly and I am more conscious of motions I make.